Granite City Under 14arrow-rightCreated with Sketch. Granite City come out 34-25 winners in a tight contest against Ellon played in a mixture of sun and sleet. The first half was a tight affair with both teams trading tries but it was Granite City who opened the scoring when Leo Peerless scored out wide after 5 minutes to score the first of his three first half tries. 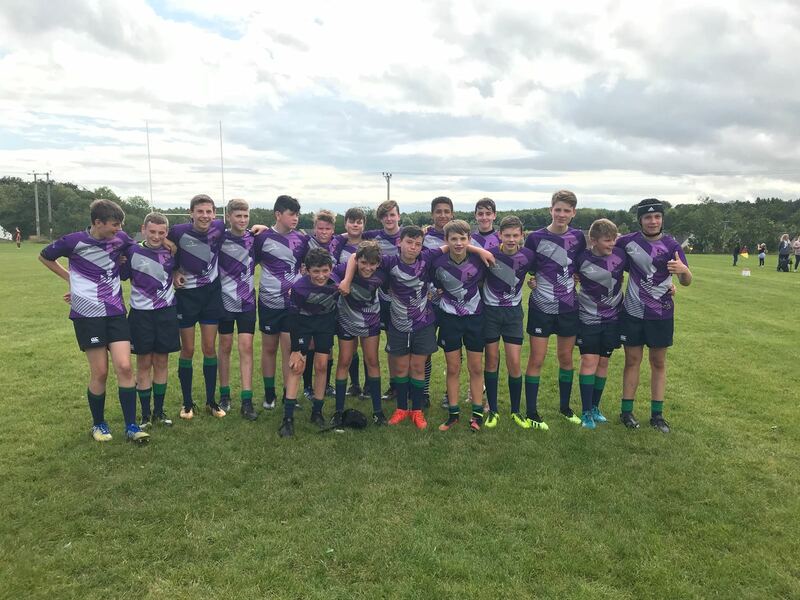 There was also a first half try for Finlay Smeaton who took the ball from a restart and broke through a couple of tackles to score the try, Ellon also scored 4 tries in the first half to leave the scores level at half time 13-13. The second half was fiercely contested with the breakdown proving troublesome for Granite City with Ellon managing to turnover possession on multiple occasions, regardless Granite City started strongly scoring 5 tries within the first 12 minutes to open up a commanding lead which they would never surrender with scores from Johnny Cadden, Finlay MacLean and a three from Sebastian Aitken. Credit to Ellon who battled to the end and scored a couple of late tries but a try on the final whistle by Jack williams sealed a 34-25 victory for Granite City.